Siemens is to build a new driverless people mover to link the terminals at Suvarnabhumi Airport in Bangkok, Thailand. The railguided Airval system is due to open in 2020 and will link the main airport terminal with a new terminal building which is currently under construction. The one-kilometre line will include two stations. From its factory in Vienna, Siemens will supply six two-car trains. The rubber-tyred fleet will utilise Communication Based Train Control system (CBTC) for automatic train operation and will have a maximum operating speed of 80 km/h. The Airval system will operate 24 hours a day, seven days a week and is expected to transport up to 3,590 passengers an hour. In a statement, Sabrina Soussan, chief executive of Siemens Mobility Division, said: “Over recent decades Siemens has played a major role in the development of Bangkok’s urban transport system – from turnkey rail systems to the Skytrain to the Airport Rail Link. 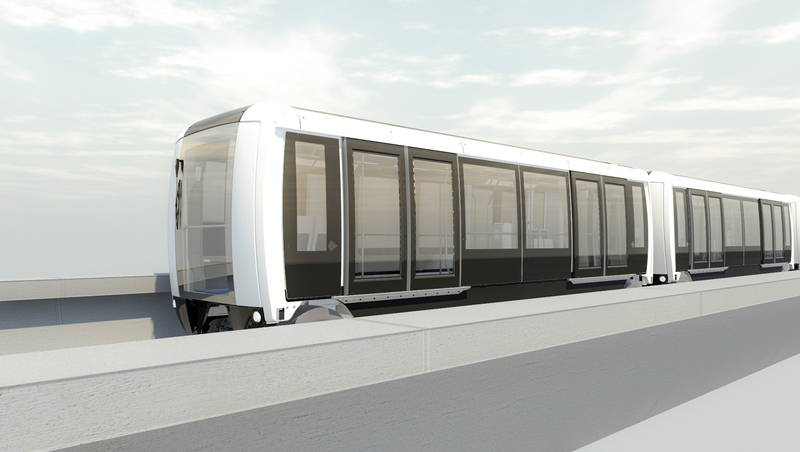 Siemens could manufacture these new light rail people mover vehicles with the new airport light rail link to be built at London Luton Airport. And to replace the shuttle buses that operates between Luton Airport Parkway railway station and Luton Airport main terminal. That will take about 5 minutes between the “parkway” railway station and the airport’s main terminal. Non-stop operating 24hrs 7 days a week as it would take on average 8-10 minutes on the shuttle buses via the A1081 in & out of the airport. And to relieve the congestion on surrounding roads in & out of Luton Airport. Once the new light rail link is finished on time that could be completed in late 2020 or in 2021. As London Luton Airport is expanding its capacity with more people using the airport everyday.